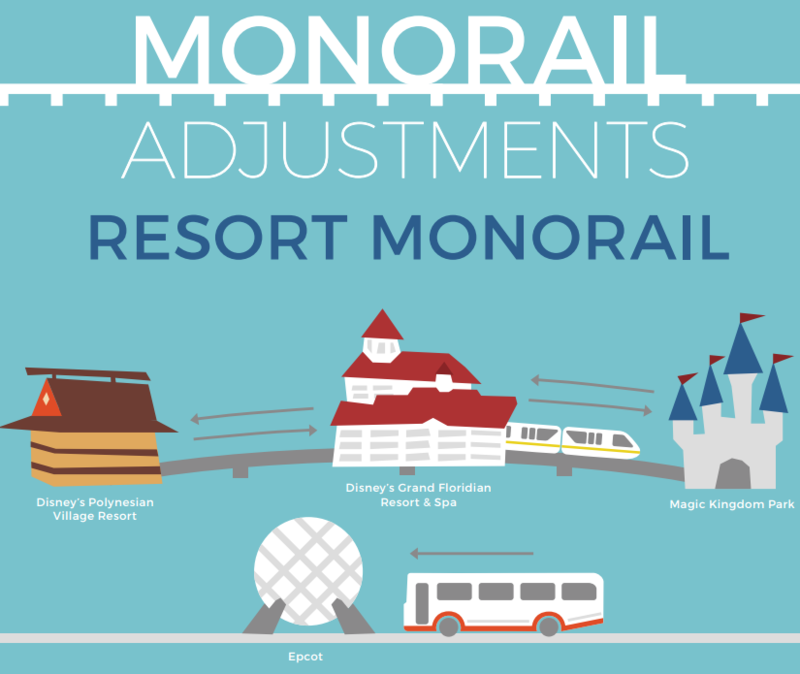 The Walt Disney World Resort is still in the process of upgrading the infrastructure around the monorail system; for that reason, it will be necessary to modify the routes on the Resort and Express Monorail Beams on select days during the next few weeks. 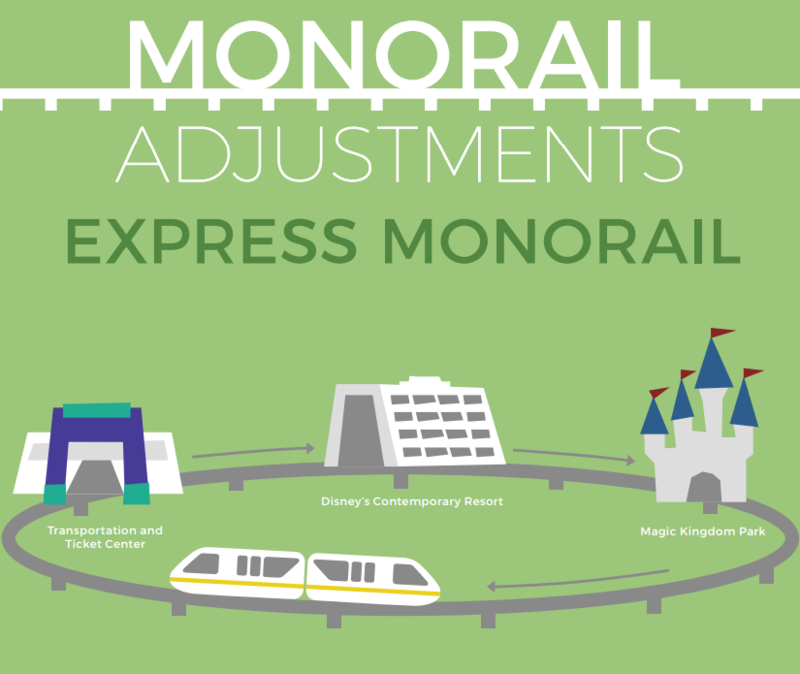 Modified monorail routes will be in effect May 16-17, May 23-24 and May 30 from 11:30 a.m.–6:00 p.m. Disney's Monorail service will continue to be available from all stations while work takes place, and monorail operating hours will remain unchanged. During the days and times mentioned above, the Resort Monorail will only travel between Disney’s Polynesian Village Resort, Disney’s Grand Floridian Resort & Spa, and Magic Kingdom Park. Resort Guests traveling to Epcot will have two options: they can either board a train to the Transportation and Ticket Center and transfer to the Epcot line or they can take a Disney bus directly from their resorts. The Express Monorail will make an additional stop at Disney’s Contemporary Resort, as it travels between the Transportation and Ticket Center and Magic Kingdom Park. It's driving me a little crazy that the graphic shows the trains traveling clockwise when the express loop travels counter clockwise.